Experiencing Yellowstone wrapped in a blanket of snow is beyond breathtaking. One of my favorite things things to do on a sunny winter day is grab a pair of snowshoes and walk out of the back door into the forest. 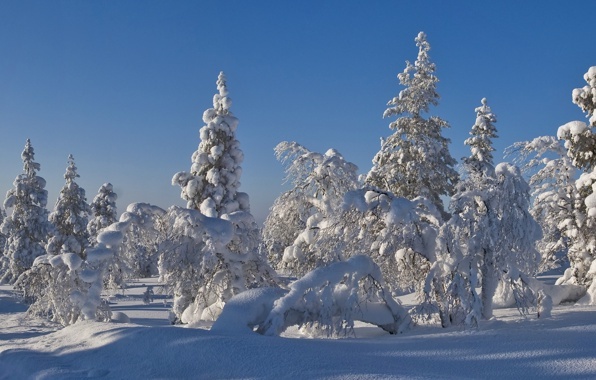 Let curiosity be your guide as you wander about the pine trees and frozen creeks. You may see the tracks of some woodland creatures including fox, weasel, snowshoe hare, and bison. Follow your tracks back to the cabin for a warm drink next to the fire. Want to really get up there? Beartooth Powder Guides are the folks to take you. From low-angle tree skiing to deeper bowl and couloir skiing, the options are limitless for exploring stashes in the area. 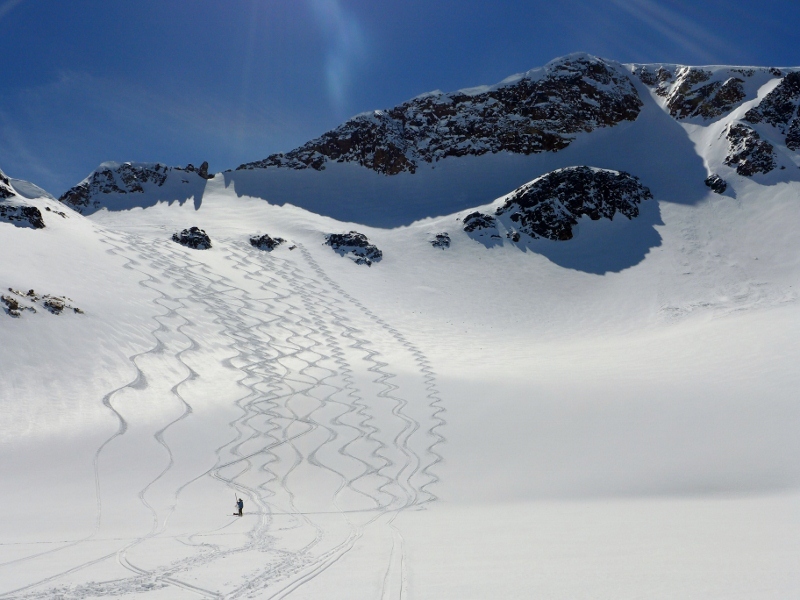 If you are new to backcountry skiing, or an experienced skiier looking to explore some of the numerous high-alpine options, these folks will take you there safely. Want to stay down low? Their guides can take you on a cross-country ski-tour visiting some the areas frozen waterfalls. Lamar Valley is the wolf-watching capitol of the world. There are around 80 wolves within Yellowstone's 2.2 million acres, and the best time to view them is in the winter when a blanket of snow makes them easier to spot. A scope is an important tool as the wolves can be far from the road. Watch furry pups tangle in play or perhaps have a front row seat to a wolf hunt. 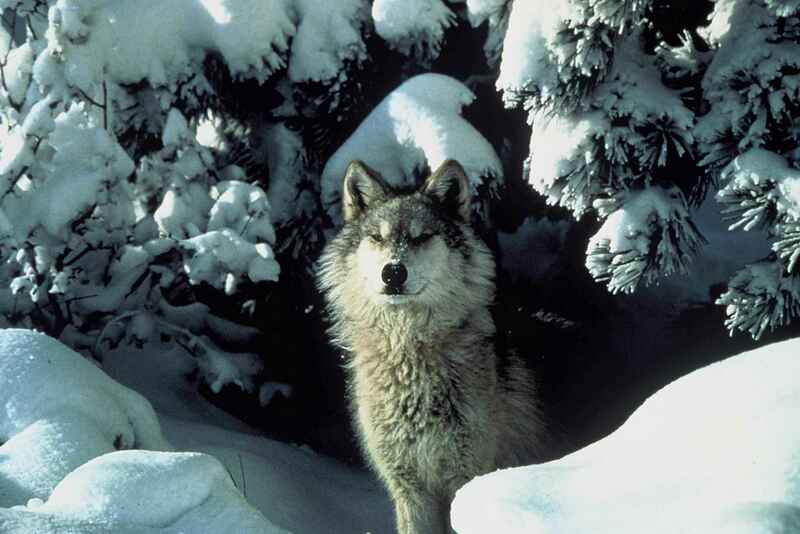 To learn more about how to spot wolves, click here. Put on your warmest down jacket, bring your thermos, and prepare for memories of a lifetime. To warm up, pair this day with our next entry, a dip in the Boiling River. Scope rentals at Wildlife Along the Rockies, a hop and a skip from Lamar Valley Cabin. The Boiling River is created where a large hot spring enters the Gardiner River, and hot and cold waters mix to form perfect bathtub temperatures.You'll find this spot about 2 miles north of Mammoth, just south of the 45th Parallel Bridge. Look for a parking area on the east side of the raod, and then walk upstream about 1/2 mile to where the trail meets the river. 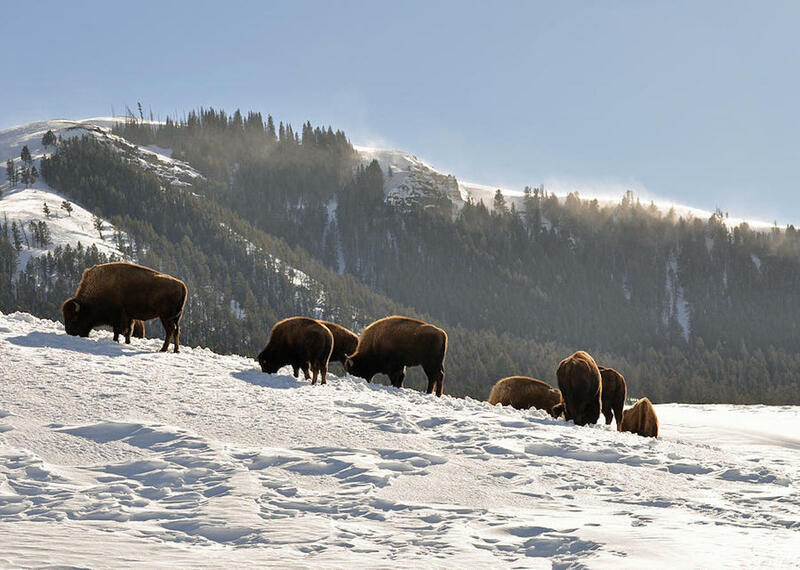 Hop in and soak up the natural beauties of Yellowstone. Bathing suits required.